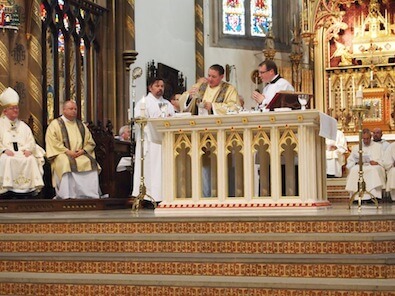 Congratulations to Philip Prince who was ordained Permanent Deacon on Sunday afternoon at St Chad's Cathedral. Philip and his wife Susan have been coming to our church for many years and teach the Parish First Holy Communion Course each year. Fr Daniel, Fr Anton, and a number of our parishioners went up to Birmingham to share in their happy day. 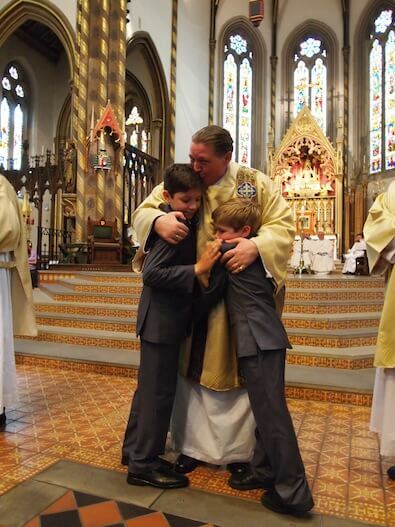 Philip's own grandsons got to vest the new deacon with the dalmatic. His granddaughter did the second reading. Out of the five deacons ordained on that occasion, Philip was chosen to minister at the altar. 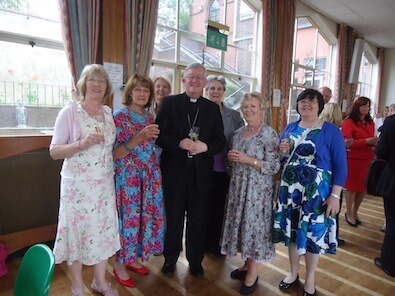 Here are some of our parishioners with the Archbishop at the reception following the ordination. Philip will be exercising his diaconal ministry up the road at St Gregory and St Augustine's; we are delighted that he and Susan will continue with the First Holy Communions in our Parish.